Madhusudan Das popularly known as Utkal Gourav, was born on April 28, 1848 in the village of Satyabhamapur, 20 km away from Cuttack, Odisha. His father’s name was Choudhury Raghunath Das and his mother’s name was Parbati Debi. He had two older sisters and a younger brother named Gopalballabh. Madhusudan Das had his primary education in the village high school learning all subjects including Persian. After his primary education he went to Cuttack High School (later known as Ravenshaw Collegiate School) and completed his secondary education. Later he went to Calcutta (now known as Kolkata) to pursue his MA and BL degrees. He stayed there for fifteen years and then returned to Cuttack and started his legal practice. He was the first Odia to get the Degree of M.A. B.L. from Calcutta University. He was not only a lawyer but he was also a social reformer and a patriot. He worked hard for the social, political and economical upliftment of the people of Eastern India. He was the founder of “Utkal Sammilani” which brought the revolution in the social development of Odisha. He gave away all his earnings generously for the higher education of poor children. He became a popular person among the Odia peoples. Many common people of Odisha called him as “Madhu Babu”. He was an admirable personality holding many high positions and honours in his entire life span. During the British rule Odisha was divided into four different States. To bring Odisha under one independent rule, he organised “Utkal Samilani” in the year 1903 and started a revolution called “Desha Mishrana Andolan”, that resulted in the emergence of Odisha as a new State. Apart from this he was also a writer and has written many famous articles and poems in both Odia and English language. The famous poems of Madhusudan Das are “Jati Itihash”, “Utkal Santan”, “Jananira Ukti” etc. Utkal Gourav Madhusudan Das died at the age of 85, on February 04, 1934. He till the last moments of his life dedicated himself for Odisha. His immense contribution towards the State and Nation would be admired forever and he will continue to remain as a source of motivation for the younger generations to come. 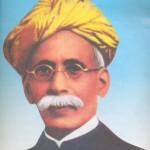 Give Responses for "Utkal Gourav Madhusudan Das Biography"